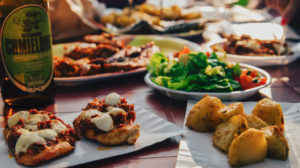 Ever have those times when you need to get something ready for dinner, but you have limited time – ya know… perhaps you got home from work late, your kids are screaming for dinner, there was an after school practice or event and the kids are home later than usual – and to boot, you forgot to take something out of the freezer that morning. Never happens to you, right? You’re staring at a package of frozen solid chicken breast & rock hard whole sweet potatoes. 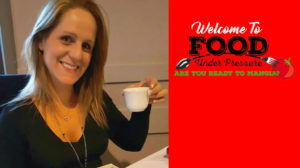 With your Pressure Cooker, you CAN get that healthy meal to the table! And, you can get it there dirtying only one pot, without thawing anything, without turning on the oven, and you can do it in about 35 minutes TOTAL – including prep, cook time and pressure release time! ** have thawed Chicken breasts? 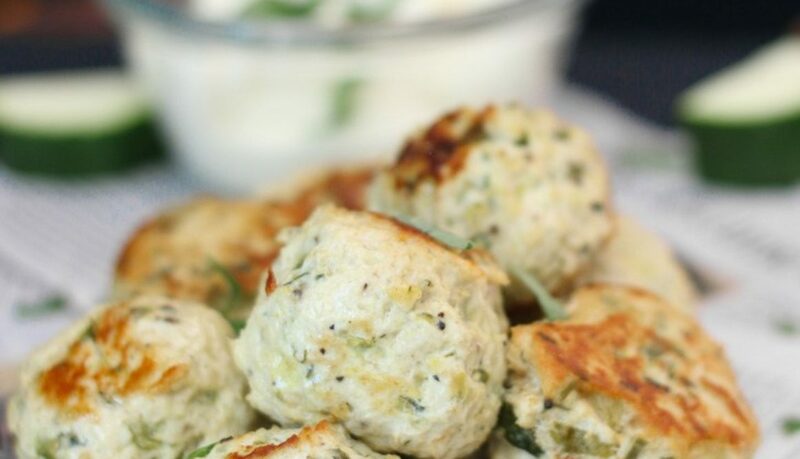 Good for you for remembering to thaw them out… you can still make this! 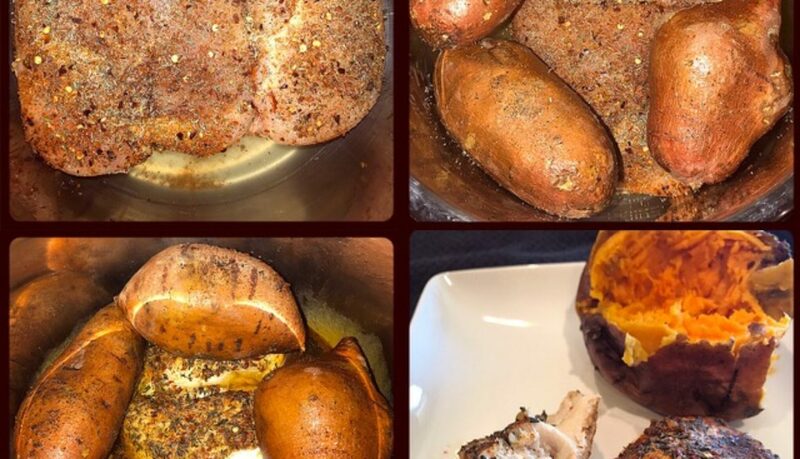 Cut sweet potatoes in half and cut cook time down to 10 minutes. Pour 1 cup cooking liquid, water or broth, in bottom of pressure cooker insert. 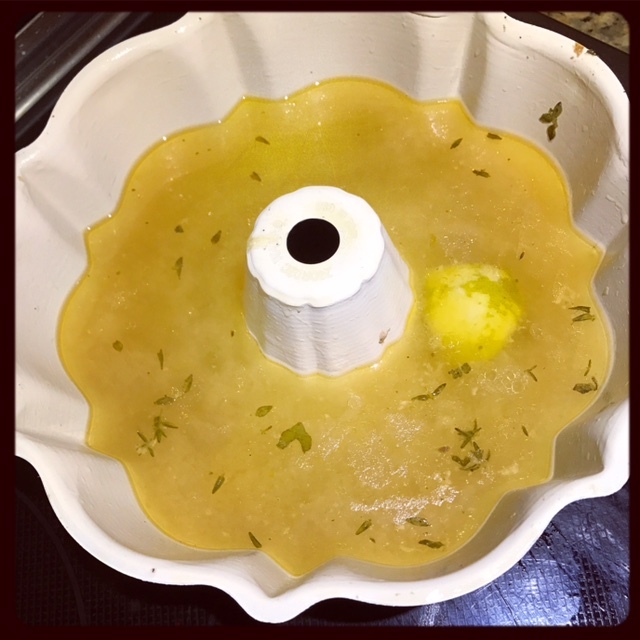 Place short trivet over cooking liquid. 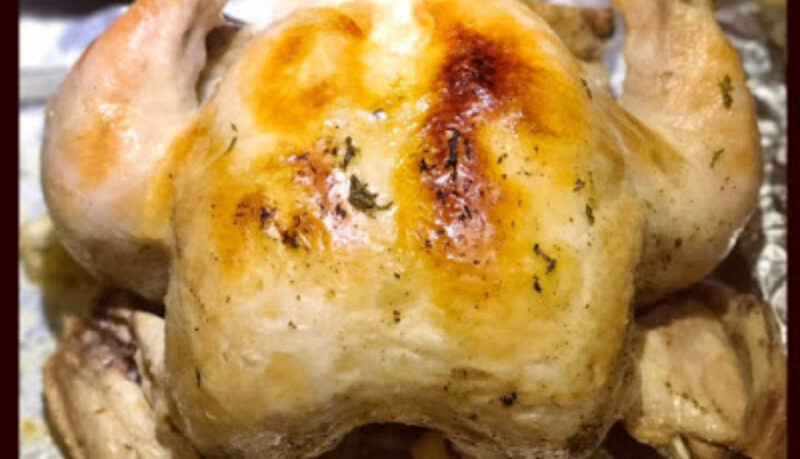 Remove frozen chicken breast from packaging and place on trivet. Drizzle with 1-2 T olive oil and seasoning liberally with seasonings of your choice. 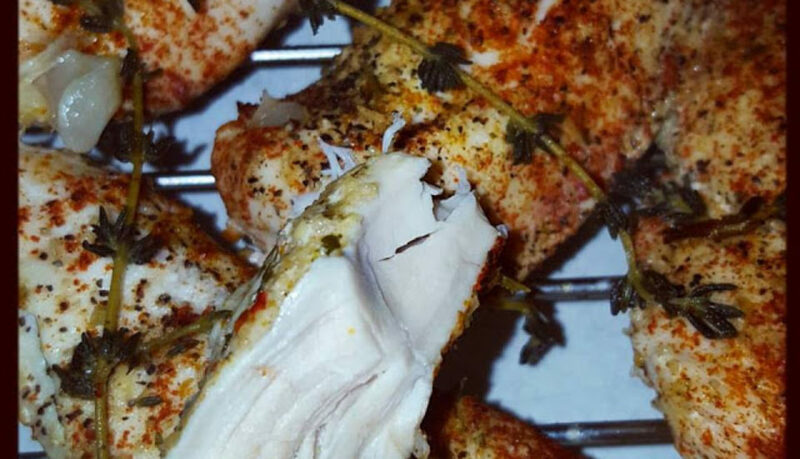 I used salt, pepper, onion powder, garlic powder, crushed red pepper and dried thyme, & plenty of it, on BOTH sides of my frozen chicken breast – season well! Clean sweet potatoes well. Do not puncture skin. Rub skin with 1-2 T olive oil and sprinkle with salt and pepper. Place around pressure cooker insert, directly over chicken. Close lid to pressure cooker & close vent knob. Select High Pressure cook setting and adjust cook time to 15 minutes. It will take about 10 minutes for your pressure cooker to come to pressure then cook time countdown will begin. For Instant Pot, close lid, turn vent knob to Sealing, Press “Manual” button and use “+/-“ buttons to adjust cook time to 15 minutes. Display will show as “On” until pot comes to pressure, then cook time countdown will begin. Using thawed Chicken breast? Cut cook time down to 10 minutes and cut sweet potatoes in half for even cooking. When cook time is complete, allow natural pressure release for 5-10 minutes then quickly release remaining pressure (QPR). 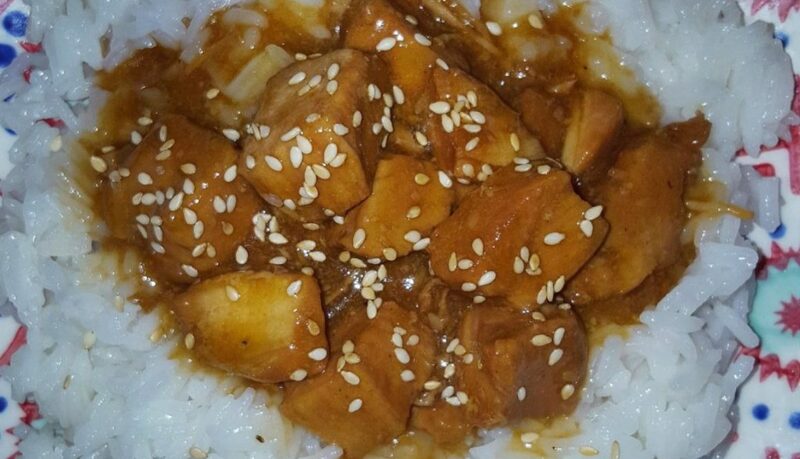 Open lid of pressure cooker and feast your eyes on your just-in-time, healthy, FAST, from FROZEN Chicken and Sweet Potatoes! Carefully remove sweet potatoes and chicken with tongs. Do you SEE that browning on the chicken?! 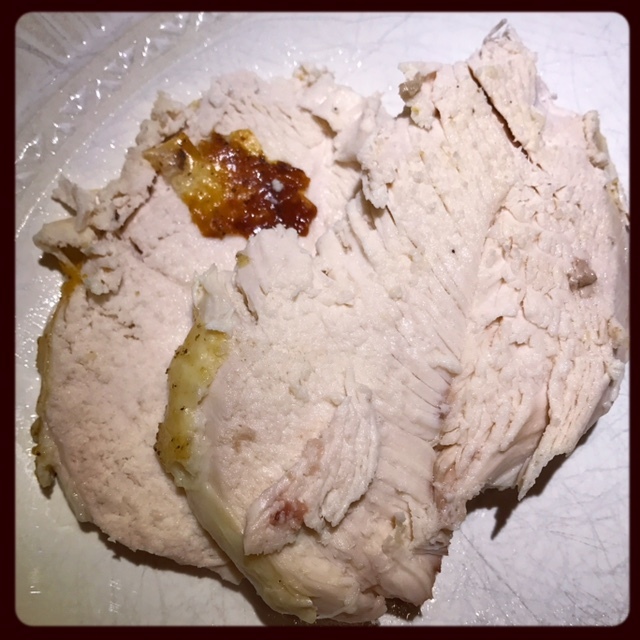 I did NOT sear them beforehand – that is all from the magic of the pressure cooker! And, the generous amount of seasoning! Serve immediately, perhaps alongside an easy salad or quickly steamed veggies. If desired, top sweet potato with butter & a sprinkle of cinnamon – I like mine plain! Close lid to pressure cooker & close vent knob. Select High Pressure cook setting and adjust cook time to 16 minutes. When cook time is complete, quickly release remaining pressure (QPR). 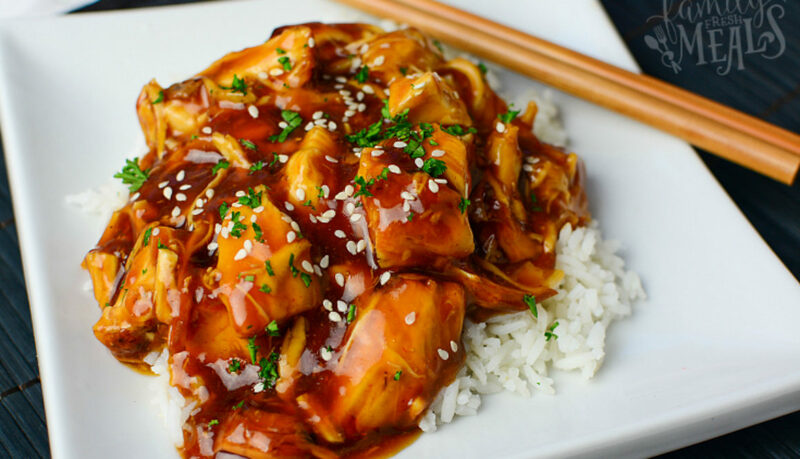 If you haven’t tried whole pressure cooker chicken before, you need to – like TODAY. 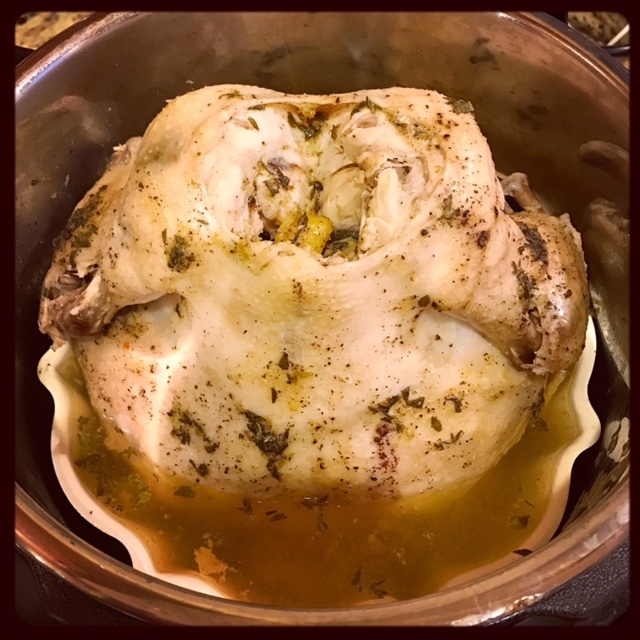 Specifically, you need to try Whole Bundt Pan Pressure Cooker Chicken! 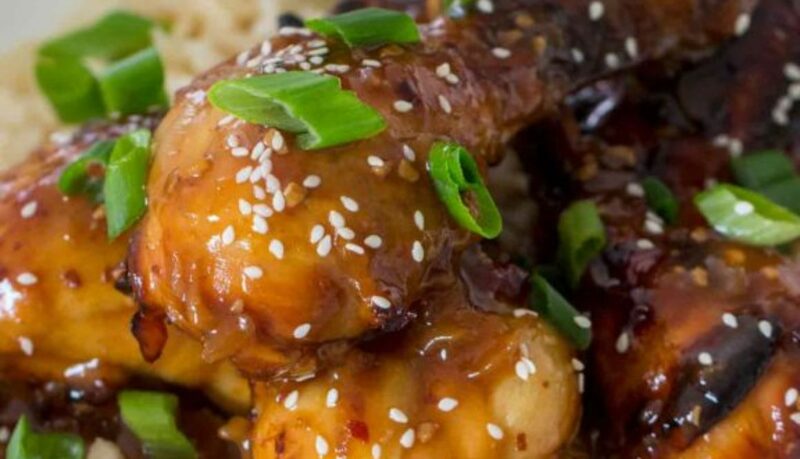 Seriously – this is the best chicken you will ever have in your lifetime. I am confident in that claim. So confident that, if you don’t like it, I’ll buy you a new chicken ? 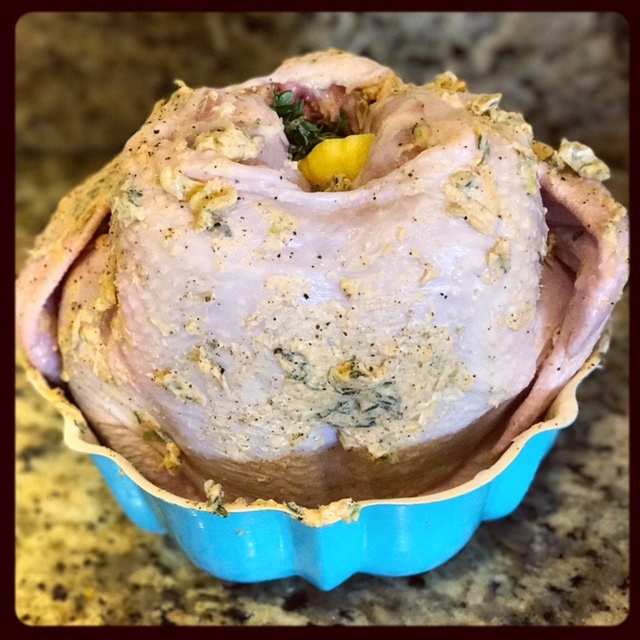 The Bundt Pan allows the chicken to keep its shape, and it also allows you to capture the juices rather than them running into your cooking liquid at the bottom of your pressure cooker. Capturing the juices makes for a KILLER gravy. 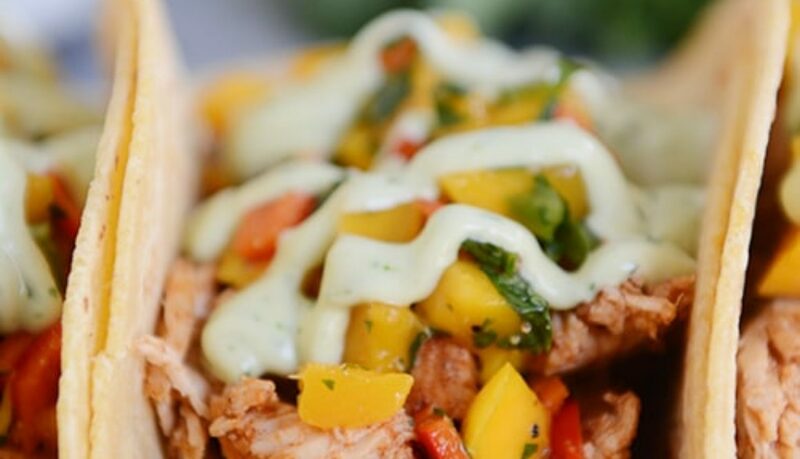 The Compound Butter or Oil allows the chicken to stay incredibly moist and gives it so much flavor – compound butters are full of seasonings of your choice. Today, I will be demonstrating with my Citrus Herb Butter – it is my FAVORITE. But, you could really add anything you want to softened butter, mix it up, and call it compound – compound will flavor! More compound butter recipes to come! Another great thing about the Compound Butter is it will be captured in the juices that are captured in the Bundt Pan – did I mention how capturing those juices make for a KILLER gravy? Oh yes, Lord. 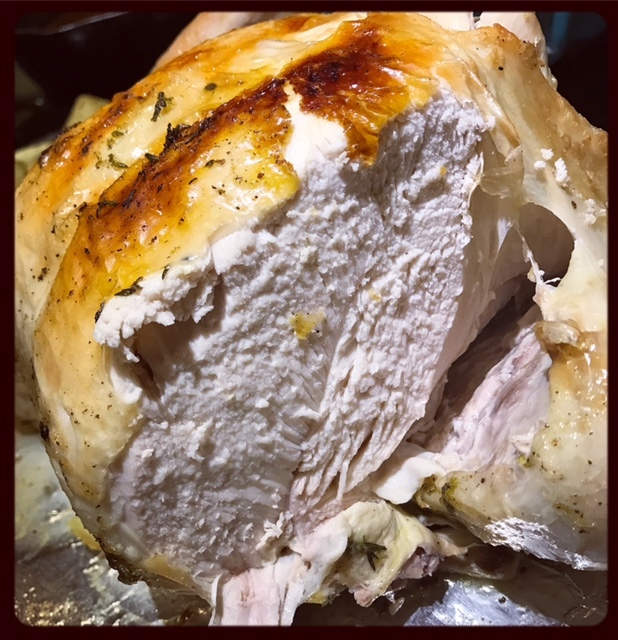 *because I used this butter, I also stuffed the chicken with the lemon and lime zested for this butter and some fresh thyme – go check out the Citrus Herb Butter! 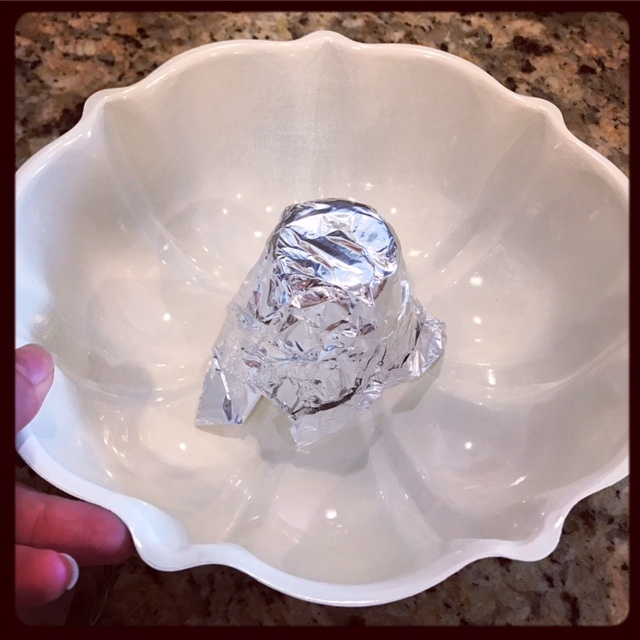 6 inch Bundt Pan, I have the Nordic Ware 6 cup Bundt Pan – Perfect for the Instant Pot! Remove Chicken from packaging, and inspect for any feathers; they should be easy to remove if any remain. Trim some excess fatty skin, if desired. Place small square of foil over hole in Bundt pan. 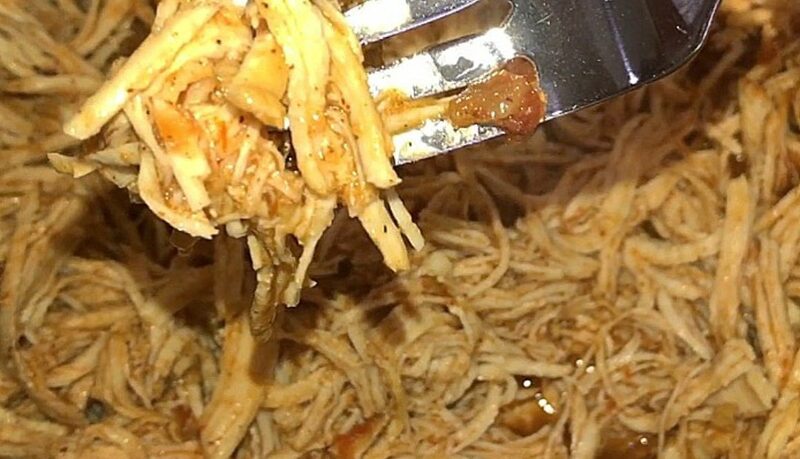 Dry chicken as best as you can with paper towels. Place chicken in bundt pan, placing hole of chicken around foiled center of bundt pan. 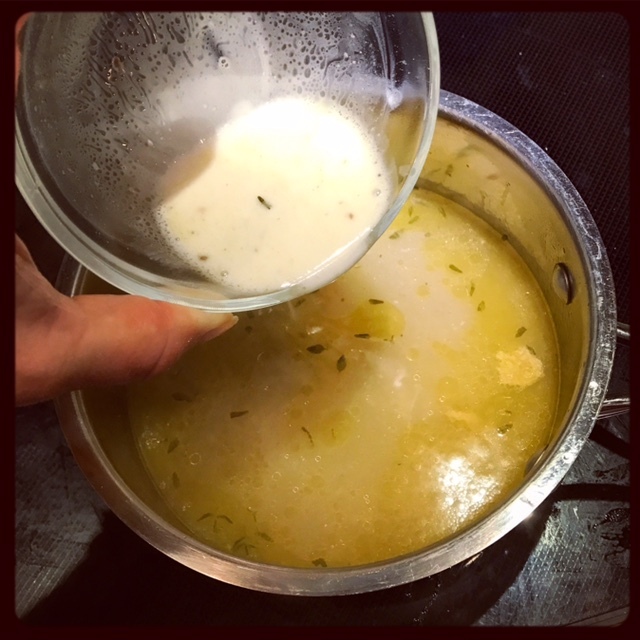 *I also shoved a couple small pieces of the lime and lemon I zested and fresh thyme I used to make my Citrus Herb Butter inside the chicken – aromatics! 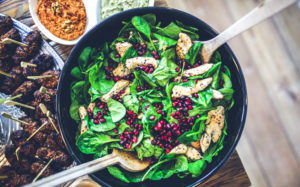 Aromatics are a good thing, and they are NOT complicated – onion, garlic, carrots, celery, ginger, herbs, citrus, apples, lemongrass… depends on what flavor you’re going for! Pour 1 1/2 cups water in bottom of Instant Pot insert, then carefully place Bundt pan directly into Instant Pot (I solicited the help of some tongs). Close lid. Turn Vent Knob to “Sealing“. 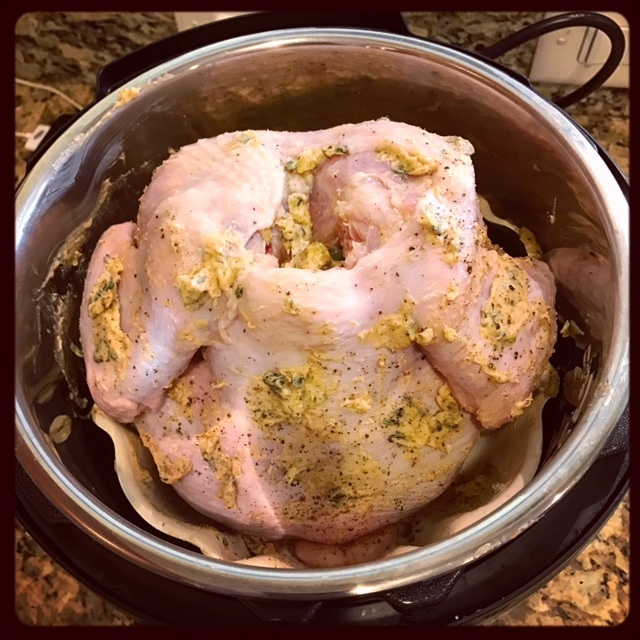 Press Manual (high pressure) and adjust cook time using “+/-“ buttons to _____ [Whole Chicken needs 6 minutes per pound] – my chicken was just under 6 pounds (5.8 lbs), so I chose a cook time of 34 minutes. Instant Pot will take 10-15 minutes to come to pressure, then cook time countdown will begin. When cook time is complete, Instant Pot will beep. Allow pressure to naturally release (NPR) for 10 minutes. After 10 minutes, quickly release remaining pressure (QPR) by turning vent knob to “Venting”. 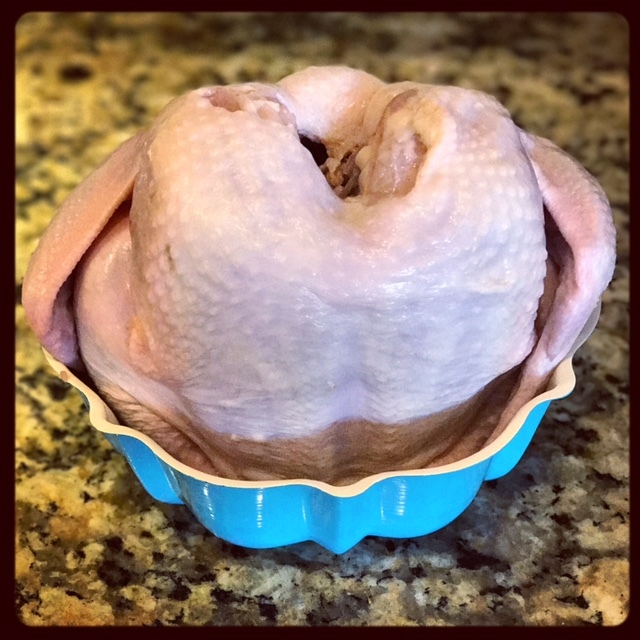 Open lid and smile at your super moist and tender chicken, and all that flavorful juice you’ve captured because of the bundt pan! Carefully remove chicken from bundt pan, and place on cookie sheet. If desired, use fat separator to remove some fat from the juice. Place remaining juices in a sauce pan on stove over medium heat. Mix a slurry of cornstarch and cold water. Pour slurry into saucepan, and whisk. Allow gravy to simmer for 5-10 minutes or until thickened as desired. Your gravy can simmer while you follow the next steps, browning your chicken under the broiler. Lightly broil chicken on cookie sheet to crisp skin – this takes about 4-5 minutes. BE CAREFUL, don’t take your eyes off your chicken! After lightly browning under broiler for about 4 minutes – you can go a little longer if you prefer, but don’t burn it! Time to carve! 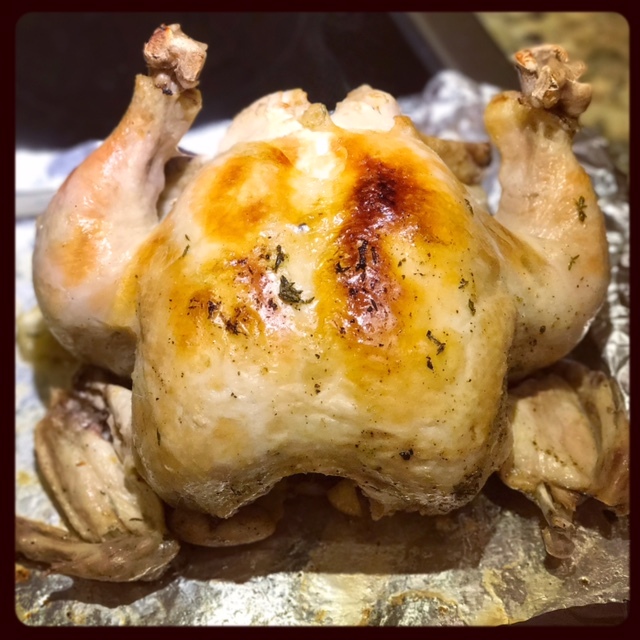 In reality, you could carve this chicken with a darned butter knife or just shred it with a fork because it is SO TENDER and MOIST! Serve with your delicious homemade gravy (wasn’t that easy?!) 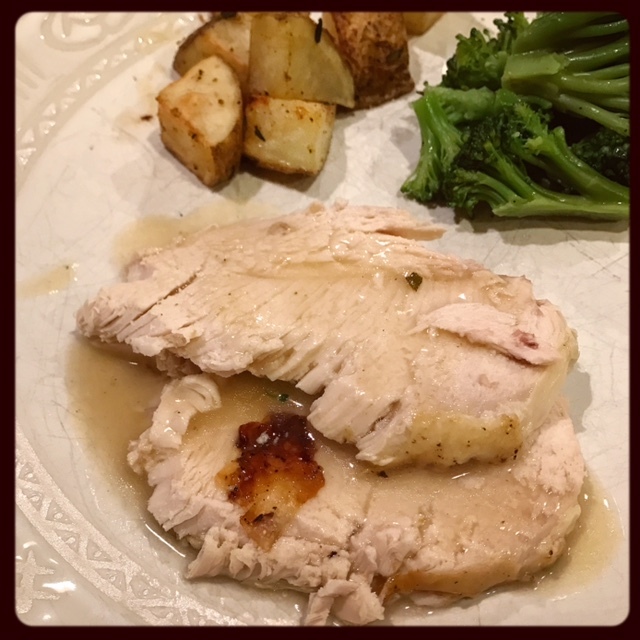 and your choice of sides… Tonight, I roasted potatoes in the oven using the same Citrus Herb Butter and steamed broccoli in the microwave while my chicken was cooking in my Instant Pot!